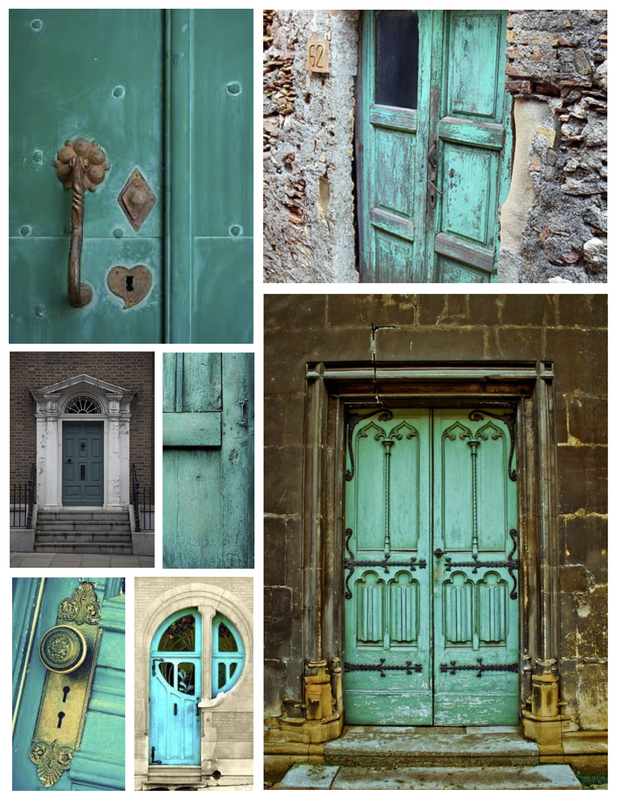 The tranquil color of turquoise painted on the exterior door is alluring. Bold, yet appealing. On the heels of Summer, perhaps there is no other color that seems to equate warm weather than Turquoise. Yet when coated on the doorways of entryways, the color perhaps extends the season. Indefinitely. Like the color of the Caribbean waters, this bold, compelling yet restful color saturates our visual senses with thoughts that linger at the water’s edge. With its tropical tone that seems to reference the color of beach glass, the splash of turquoise onto an exterior door, that welcome’s the world, will go far to visually please. Tranquil and soothing with a Mediterranean appeal, indeed.